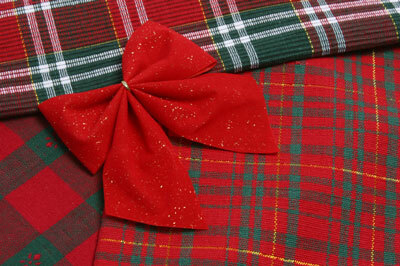 Making place mats is an inexpensive way to decorate your Christmas table. Sewing holiday place mats means you can customize them with your theme colors or use traditional colors like red and green or silver and blue. The instructions here show you how to make place mats out of the same type of fabric, but you can use different types of fabric to add more variety to your place mats. For example, you can make color blocks or create reversible place mats that you can flip. Cut eight 13-x-19-inch rectangles from the fabric. Cut four 12 1/2 x 18 1/2-inch rectangles from the fusible interfacing. Center and place each piece of fusible interfacing on the wrong side of four of the fabric rectangles. Adhere the interface to the fabric by ironing according to manufacturer’s suggestions. With right sides facing, align the edges of a fused fabric piece to a plain fabric piece and pin them together. 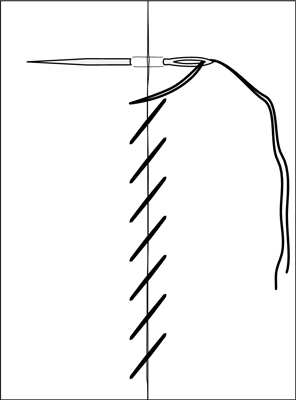 Using a 3/8-inch seam allowance, sew or use fabric glue to bind the edges, leaving approximately 6 inches open for turning. Clip corners near the seam and remove the paper backing from the fusible interfacing. Turn the place mat right side out and carefully push the corners out, using your finger or an unsharpened pencil. Making sure that the top piece of the place mat is centered over the bottom piece, begin pressing and fusing the two pieces together. Fold the edges under at the opening and press. To close the opening, either whipstitch or glue it closed, using fabric glue. Finish off your placemat with a whipstitch.